Editor’s note: This Q&A is an extension of our alumni profile of Carolina Fuentes (M.A. ‘10, social documentation). We keep our alumni profiles brief, but we found Fuentes’s answers so powerful that we wanted to share them. I understood you fled El Salvador during the Civil War. What conditions/events led you to leave your country? How did you arrive in the United States? I was in fear, the civil war in my country started in 1980, following a ‘70s decade plagued of civil rights violations and impunity for murdering peasants, union leaders, laborers, teachers, and students. In 1981, just months before I fled the country, my friend Ricardo Merlos had been assassinated by the death squads. We belonged to a musical group in which we played Latin American folk music, and that genre was considered subversive by the military dictatorship. In the same period of time, the arrest of another best friend made me realize that I could not feel safe, since I collaborated with her efforts of conquering democracy for students at the University of El Salvador. In the meantime, I was a student at the Jesuit University and four classmates had been already murdered by the military. That was an obscure reality for any young person, and I decided to flee to Mexico before I could be the next victim of that repression. I lived in Mexico during seven years that allowed me to complete my degree in social psychology and attain a diploma in communications. Living in Mexico was a rewarding experience, where I enjoyed freedom. As a Salvadoran, I felt the need to do something for Central American people fleeing repression, so I cofounded a project for attending educational and psychological needs of refugee children. That was my journey during almost four years in Mexico City. How did I arrive in the United States? My mother had lived in the United States for many years and had the American citizenship. She had been offering for years to help me to get the permanent residence status in the U.S. I finally made the decision to move to the United States in the context of the imminent divorce of my Mexican husband and the father of my only son. So, I took the challenge of starting a new life with my son in the U.S, in 1989. You were part of the Nueva Trova movement. Tell me about that time in your life. How old were you? Were you a singer, a musician, an activist? I was 15 years old when I joined the first musical group, the genre we practiced was known as Protest Music or The New Song. That experience happened in the context of being a member of a Catholic Base Community, following the teachings of Liberation Theology. I was a singer in the group El Sembrador, where we played folk instruments and sang lyrics composed by Guillermo Cuellar, who later was persecuted by the military regime, facing jail, torture, and exile for his commitment in denouncing injustice, through music. I never felt being an activist, but I sang with the certainty that we were delivering a message that questioned the extreme poverty for the majority of Salvadorans. Those times were the practice of loving a God that did not condomed injustice and the realization of loving humble people who were invisible for me before joining the Catholic Base Community. I was a student at an upper-class Catholic school where that painful reality was completely ignored and the poor were discriminated. Later, I understood that the beauty of solidarity I practiced being so young, was what defined my life for good. In 1975, our group received a sinister message, when our church and our meeting installations were torched in plain light of day by the military. However, instead to disband, the community stayed united and our musical project continued until 1977. Few months later, our mentor, Plazido Erdozain, a priest from the Vask country, was expelled from El Salvador, being accused of subversion for his work with the poor; and our composer Guillermo Cuellar was arrested and tortured for his music reflecting on social reality. Fortunately, he was liberated and went to exile, when he was 22 years old. In 1979, I joined the band where I met Ricardo Merlos and I fell in love with his compositions; we played until 1981. Ricky was 19 years old when he was murdered. What power does music have in hard political times? Music becomes the collective voice of people, for expressing ideals; hope; frustration; and anger, in the context of social repression. Music transforms powerlessness in the power of collective mobilization; from an internal reaffirmation of our worthiness and dignity as human beings. Through lyrics, we overcome the feeling of isolation that a repressive discourse intends to impose. What kind of work did you do at Univision? Where was the station where you worked? Why did you leave? Although I worked 16 years in Univision I owe the mentorship of my journalistic career to Radio Bilingue, Spanish PBS, because they were the ones who guided me in understanding the reality of injustice that farm workers and immigrants endured in the San Joaquin Valley. In 1990, being already a reporter and an independent producer for Radio Bilingue, I was hired as a reporter at Univision Fresno, California. I stayed in Fresno four years, having the privilege of producing several news series with Cesar Chavez and the Farm Workers Union. In 1994, I jumped from the Univision’s 44 market in Fresno to Univision Network News in Los Angeles, California, being the West Coast correspondent until the end of 2006, when I did not get a renewal of my contract and I saw the opportunity to make possible a longtime dream of attaining my master’s degree. 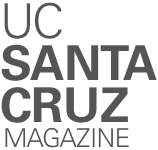 Why did you decide to come to UC Santa Cruz to study? After working 15- to 20-minute series and stories during 11 years at Univision Network, I wished to produce documentaries, and UCSC gave the opportunity when they accepted me for its Social Documentation Masters Program. What inspired you to make your documentary Our Right to Sing? For what I shared with you in my answers to questions 1, 2, and 3, you might think that choosing this theme was an easy decision. However, it was not the case. I had already decided to produce my thesis documentary on Radio Mixteca of the San Joaquin Valley, but my classmates and teachers encouraged me to work on my personal story with music and the war of my country, after I talked about it with my classmate Alex Johnston and he produced a short biography on me enhancing my friendship with Ricky Merlos and his assassination. When I immersed in the story for the documentary production, I realized that although it was the story of my life and the story of my generation, I had never talked about it with coworkers and people I met in the United States. It was the realization that I had been denying my true self for so many years, at that time it was 20 years of life in the U.S. Since in El Salvador and Mexico, singing and making that music was just the essence of who I was. How did you find your lost musician friends and were they still playing music? I had seen Guillermo Cuellar in El Salvador before producing the documentary in El Salvador because he returned to El Salvador when the war was over. But I had to contact the other bands, like Yolocamba Ita, Cutumay Camones, Los Torogoces de Morazan. I did not know the member of Los Torogoces because the group was born on the guerrilla Campaments. They were still playing music and they still are. In the case of Cutumay Camones, Lolo, its emblematic member, he lives in Portland, Oregon, and he keeps playing and singing in solidarity with the immigrants movement. Was filming difficult and why? It was complicated because the musicians were in different parts of the country and because I had just \$4,500 from the Berkeley Human Rights Center’s Fellowship. However, I visualized the story as something beyond that budget and I was right, I spent a lot more money in production, visiting the country several times and sending the crew from El Salvador to locations and events while I was in the United States. But, the most difficult aspect was my emotional connection with the story. I cried a lot during filming and editing. What years did you film? Years 2009, 2010, and 2011. What was the reaction when you screened your film at the National Theater for the Arts? Did you perform with the musicians after the film was shown? People were very moved to see the musicians in the film, telling the story of music and having a voice for sharing their journey as musicians of the war. Their story is the story of a whole generation of Salvadorans, including me. It was contrasting seeing them very young in pictures and archival video performing during the war; and seeing them live in the scenario of the National Theater, performing together as a big combo, being already in their 60s. Salvador, but there was not analysis of the role of music, until Our Right to Sing.